is a classic, edge-on galaxy, reminiscent of NGC 4565. Its golden disc at left is flooded with the blue light of the bright star 109 Virginis below it, just out of the frame. At 90,000,000 light years distance, 5746's core appears somewhat square. This is because we are seeing its central bar from the side. 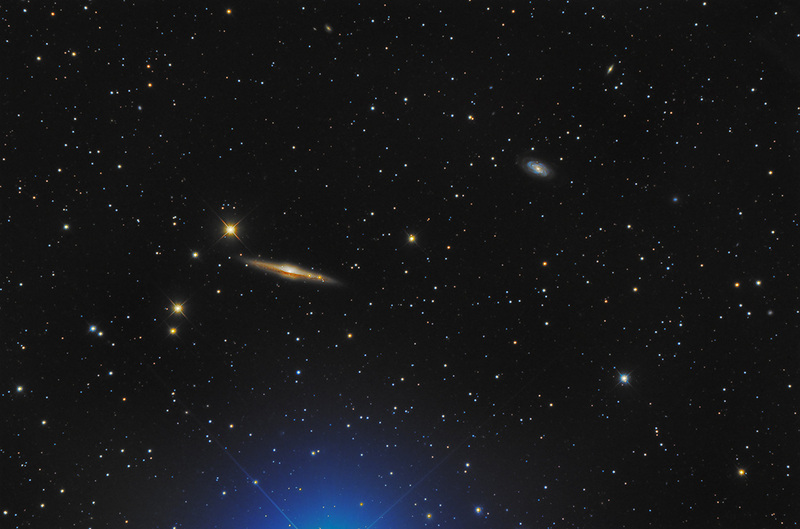 At upper-right is the face-on NGC 5740, which gravitationally interacts with its neighbor, 5746.